Skees’ artwork combines traditional women’s craft, contemporary DIY culture, and a love of the unexpected and absurd. In her Cozy Portraits, Skees creates custom cozies for her subjects, who are often close friends and family. 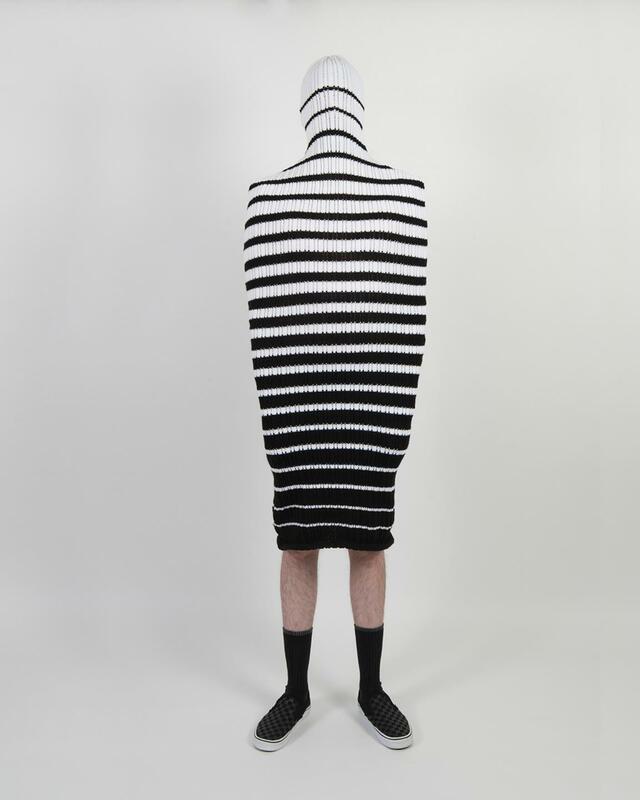 Like an ill-fitting handmade sweater, the cozies are about the claustrophobia and absurdity of relationships. Kristin Skees (b. 1980) received a BFA from the University of Alabama at Birmingham, an MFA from the University of Arizona, and a MLIS from the University of Alabama. Lives in Newport News, Virginia.